As everybody knows, learning English is already important because it's an official international language of the world. However in Japan, most people don't speak English yet because even though they know it's important they don't really need it in their current daily life. In my opinion, this situation won't continue so long and English will be more important in the near future ―the next 20 years. Here I will give three reasons why I believe so. Another day is passing by, and people around the world are getting more connected through technology and travel, and not to mention English. It means that today is the day that there are more international events, more international travellers and more international online discussions than yesterday, and the language people implicitly use there is English. Therefore, more and more people learn English as a second language because now we can't avoid the fact that to be able to speak English is so important for us. Have you travelled to any country in Europe such as Germany, France and Switzerland, or Southeast Asia like Singapore, Malaysia and Indonesia before? In these counties, people kindly switch the language from their mother tongue language to English once they find someone who doesn't speak their language in a group. In that way, everybody in the group can understand each other. They're accustomed to do this and it's just natural for them because otherwise they can't communicate with the most important person in a group. In 20 years ― young people in Japan will be more open-minded to speak English. So as it is now in Europe and Southeast Asia, Japanese people will speak in English in a group if there are a few people who don't speak Japanese. It will happen to us more often in the future, and if you can't speak English it means that you can't join the conversation. 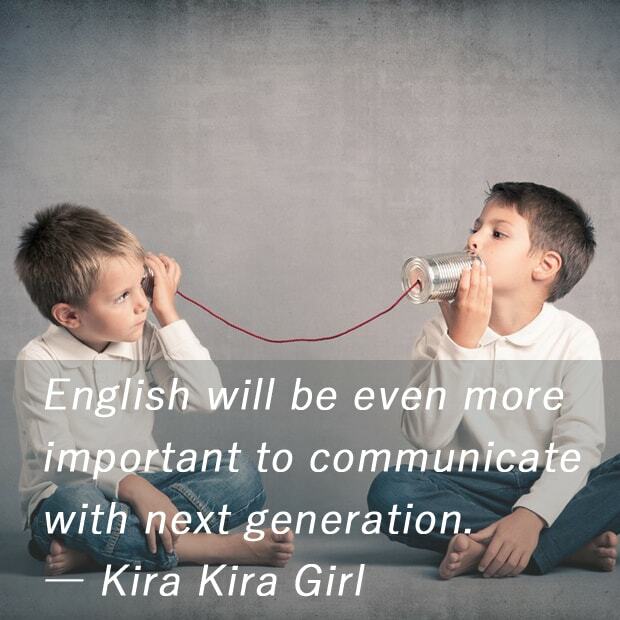 So, are you ready to talk to next generation in English in the future? If not, think that probably they are your own children. It will be sad if you can't join the conversation while you're with your children. Well, that's all for today's topic. Thank you for reading till the end. See you next time!